Posted by Sam Smith on Friday, October 14th, 2011 at 7:18pm. One of the hidden gems of Newport Beach is Newport Island. When you look at Newport Island on a map it covers a very small area comprising of 5 short cul-de-sac streets. The homes located on the perimeter of Newport Island have waterfront views in an area that is mainly a residential non water view homes. Prices will vary a lot with this very fact in mind with current prices of $702,228 to $2.995,000. If you are looking for a bayfront or waterfront home then you may want to consider Newport Island. From this location you are located near Lido Isle and the beginning of the Balboa Peninsula. Many of the popular beaches are just minutes away and if you are lucky enough to own your own boat then you will find this an ideal located to move around the Newport Bay and Pacific Ocean. This week a new bayfront home has just come on the market in the Newport Island community that can accommodate a 36 foot boat and built in the Cape Cod style. We understand you have many options when looking for a bayfront home and would love to show you all your available options. 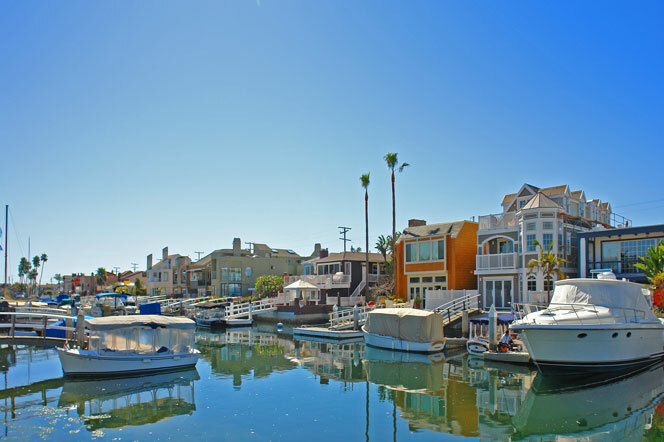 Living in Newport Beach is among one of the best places to live in all of Southern California.